It’s that time of year when it is warming up and yet sometimes is still freezing. 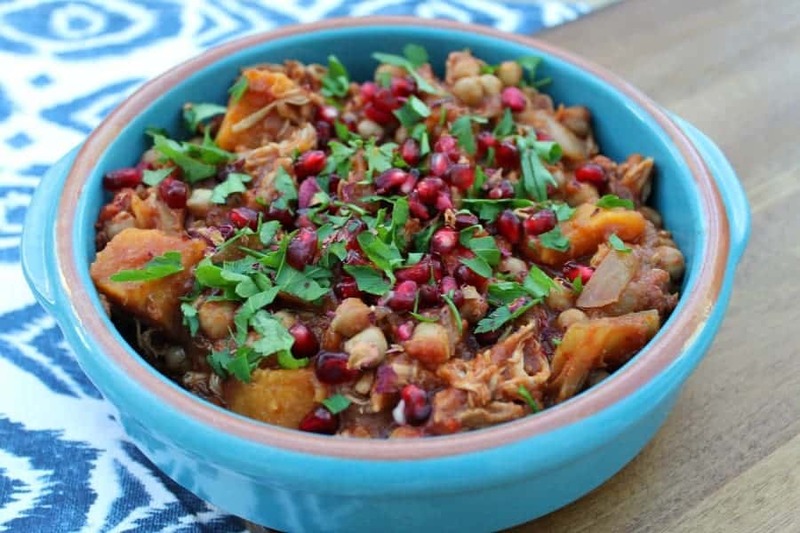 A hot dish like this can be served whether it is a warmer or colder day so is a good all-rounder! 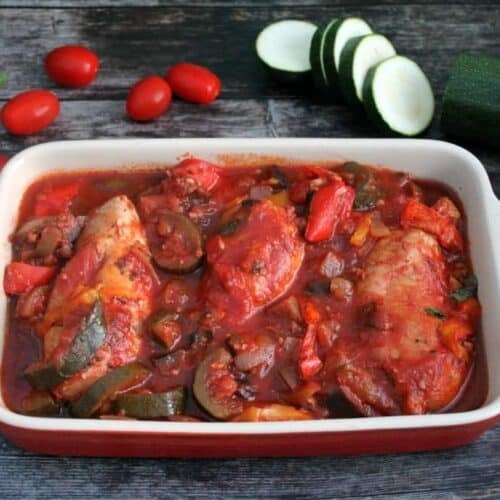 We all love ratatouille, that French classic with its combination of onions, courgettes (zucchini), peppers and aubergine (eggplant). That combination of summer vegetables always makes me think of summer and the fresh vegetables I buy at open-air markets when in France. 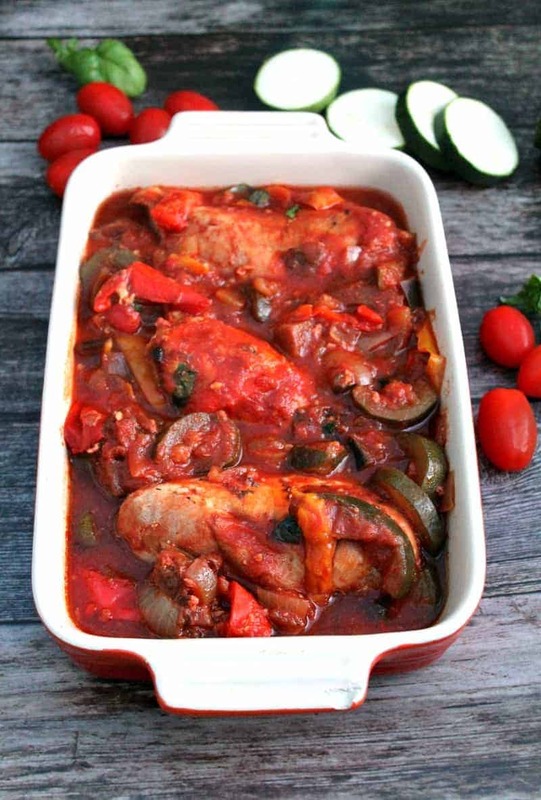 My baked ratatouille is a great option as well as a side dish to bread and cheese in high summer. 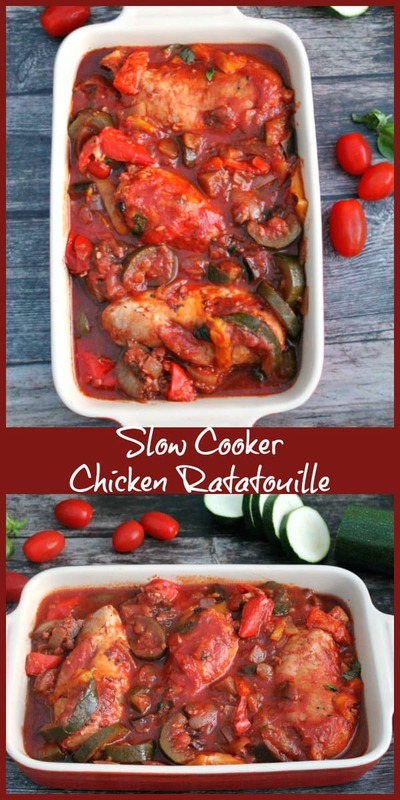 I cook my slow cooker ratatouille using passata which ensures a thick delicious sauce rather than a thin watery sauce which slow cooker dishes sometimes sadly produce. The colours are so bright and vibrant, you can see the almost goodness with this palette of natural brights. 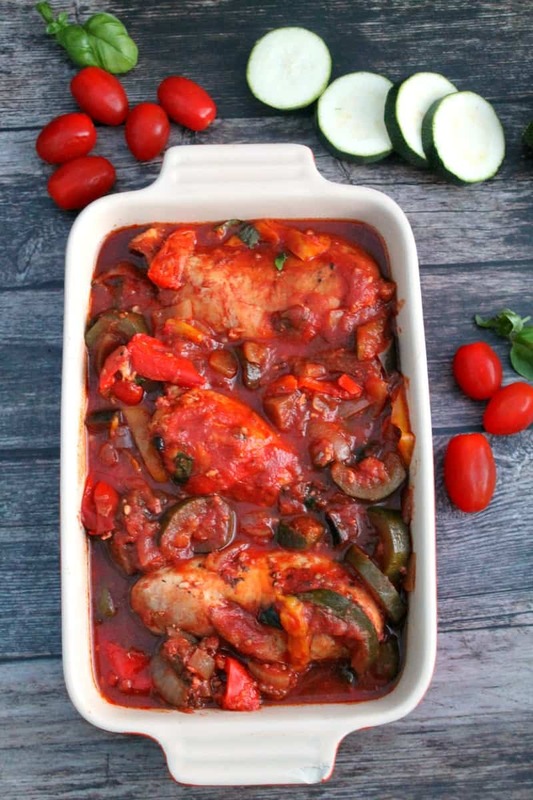 There is no need for a lot of added ingredients when you base your dish on simple vegetables. 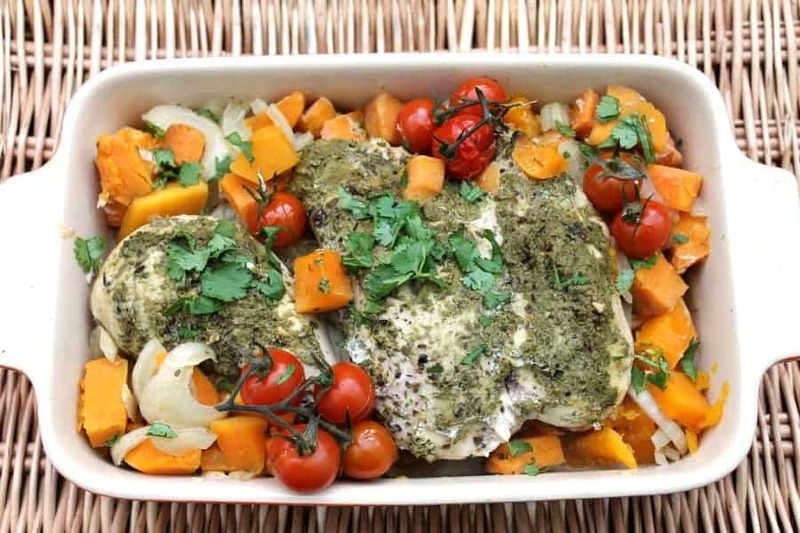 Just seasoning, herbs and a few leaves of fresh basil are all that is needed! Slice the vegetables and place in the slow cooker. Pour the passata over the vegetables and add the tomato puree. Place the chicken breasts on top. Season with salt, pepper, oregano, dried garlic and tear a couple of fresh basil leaves and scatter on top. Check the chicken is cooked through and no pink remains. 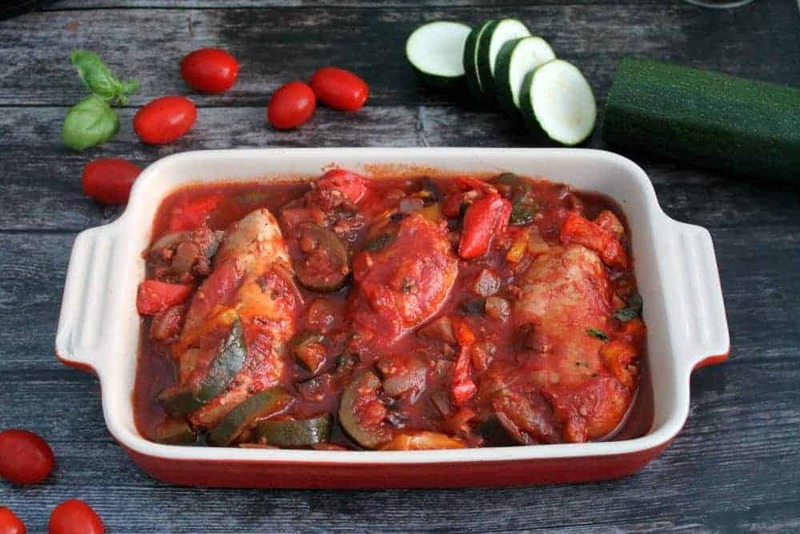 Serve with pasta, rice or crusty bread, a baguette would be ideal! 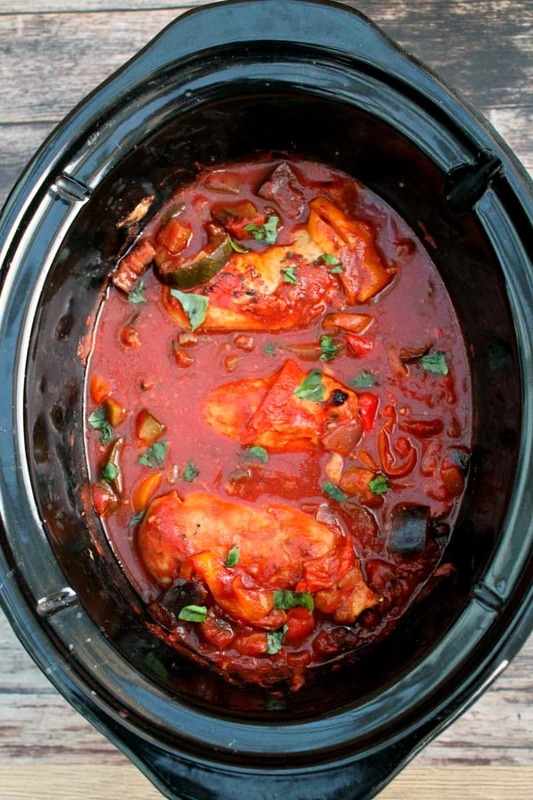 Slice the vegetables and place them in the slow cooker pot. Pour ove the passata and stir in the tomato puree. Add the dried oregano, minced garlic, salt and pepper (to your taste) and a couple of torn basil leaves. Put on the lid and cook on high for 3-4 hours or on low for 6-7 hours. Before serving, check that the chicken is cooked through and no pink remains. 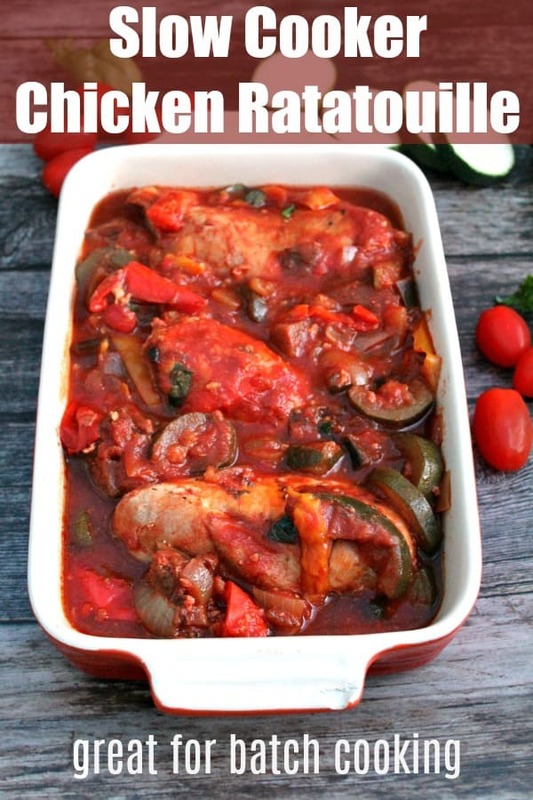 Serve with pasta, rice or crusty bread and salad. 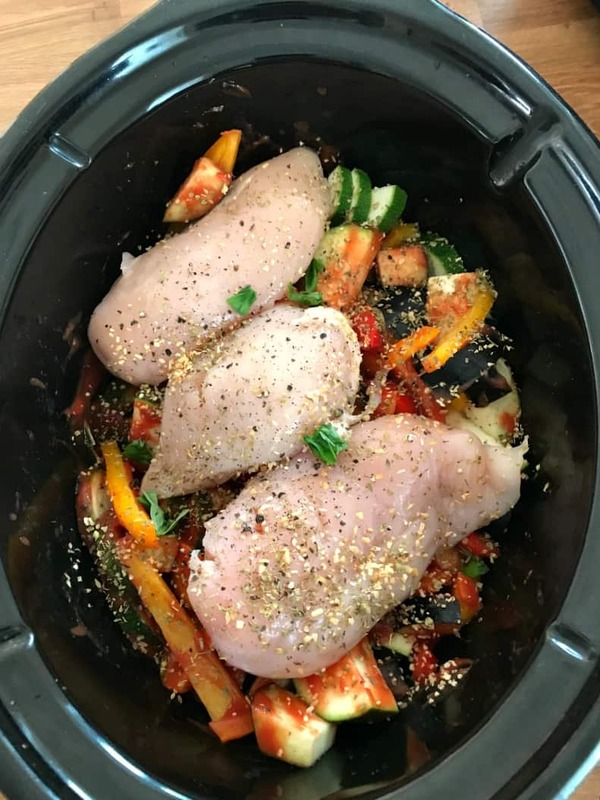 Slow Cooker Size - I made this in a large 5.7 litre slow cooker.